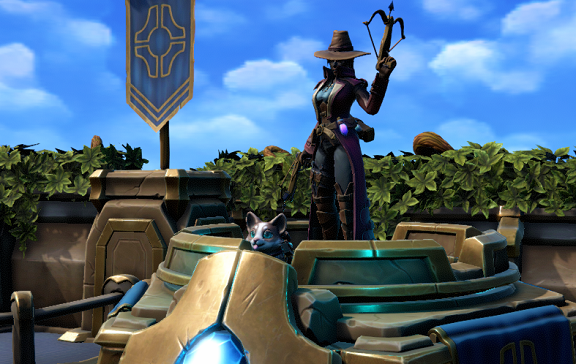 It's Minion Masters Monday, which means more weekly news from the BetaDwarf team about upcoming content and community engagements. Today we'll be looking at Update 86, as well as reviewing new additions to the BetaDwarf team. Her Basic Attack is a 15 damage shot from one of her two handheld crossbows once per second. Additionally, Diona spawns a Bear Trap close to her Master Tower every 20 seconds that alternates between the two lanes. When a minion walks over the Bear Trap, they will be damaged and rooted. Her first and third perk add a Trap card to her deck - Either the Crossbow or Decoy Trap. When a trap card is used, it will change to the other trap when it's put back in your deck. The Crossbow Trap is weak but provides good supporting DPS that can target ground or air units, while the Decoy Trap has a moderate health pool with a Taunt effect. Both Traps can be placed anywhere inside the arena, unlike regular Building cards. Her second perk has her trusty pup Ruffles bravely venture into the Battlefield to retrieve the spoils of war for his Master. The first time an enemy minion dies while Ruffles is off cooldown, they will drop a special potion that can be worth either 2 Mana, 3 XP or 250 Health. Ruffles will then jump off the Master tower and attempt to bring it back to Diona by walking across the arena and taking a few seconds to secure it, at which point the reward will be given. If Ruffles takes any damage or is stunned before he retrieves the potion, he is sent back to the Master tower and the reward is removed from the battlefield. In either scenario, Ruffles will need to rest for 10 seconds before the perk can activate again. We're very excited to release Diona to Minion Masters, who will be available for purchase for 775 rubies or 1500 shards from the Master selection screen. Look forward to her in Update 86! We've also been hard at work recruiting new talent to the BetaDwarf team. We're always looking to expand our capabilities to work on new features and content for Minion Masters, which is why we're happy to announce that we've recruited two new Programmers to the team recently who have already been hard at work behind the scenes on both Guild features, and stuff we aren't quite ready to reveal yet. But more hands on the deck certainly means you can see the impact they'll have on Minion Masters soon enough. 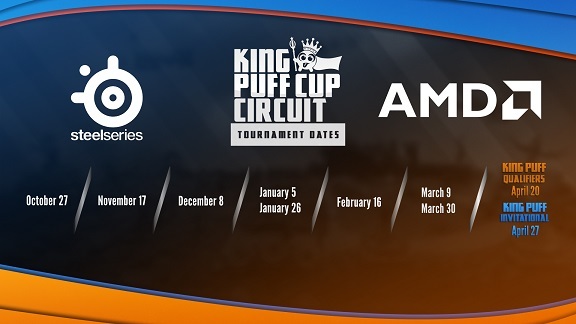 The 30th King Puff Cup will be taking place soon, and with the new year the circuit has been bringing on new management to help make 2019 a great year for Minion Masters E-Sports. Julaiwnl and salbei have joined as administrators and have been working tirelessly to improve the competitive experience for both players and KPC Staff. The 30th King Puff Cup features a first place prize of an AMD Vega 56 Graphics Card once again, worth an estimated $500, with second place earning a $100 SteelSeries Code. It will take place on January 26th, 2019 at 14:00 UTC, with signups closing on the 25th at the same hour. If those prizes sound good to you then you need to be in it to win it, so make sure you sign up to the tournament right here! That's all for today, Masters. Next week you'll be able to catch a sneak peek at that elusive Tier 100 Battle Pass skin that we've been hiding away for so long. Kinda want more in these weekly posts. Maybe community highlights of the week?? My Ex-boyfriend left me and my daughter since 6 weeks ago after, I tried ALMOST EVERYTHING to restore my relationship and I was disappointed. None was working out, A week later I saw Dr. Sam website and after I contact Dr. Sam for help, everything automatically change, my sadness became joy, smile was all over my face, everything happened very FAST and the result was effective. Dr Sam is the ONLY spell caster who i had success with, my boyfriend called me and said he wanted us to come back and also want to marry me. he came back to me begging me to accept him back and this happened Due to the help of Dr. Sam. I Am so happy that I have my boyfriend back. Contact Dr. Sam now for an urgent and fast love spell to win your relationship back.